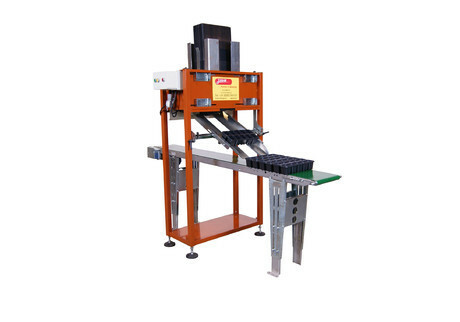 The Javo TRO600 is a very compact and simple machine for automatic dispensing of a variety of 6-pack and 12-pack trays. The TRO600 is available as stand-alone unit with a conveyor belt, but It is compatible with all Javo Tray Automation products, including the Quickfiller and Rotofill, to allow for a fully integrated, fully automated tray line. It also integrates with Javo’s PITA, Dibble Station and Water Tunnel.